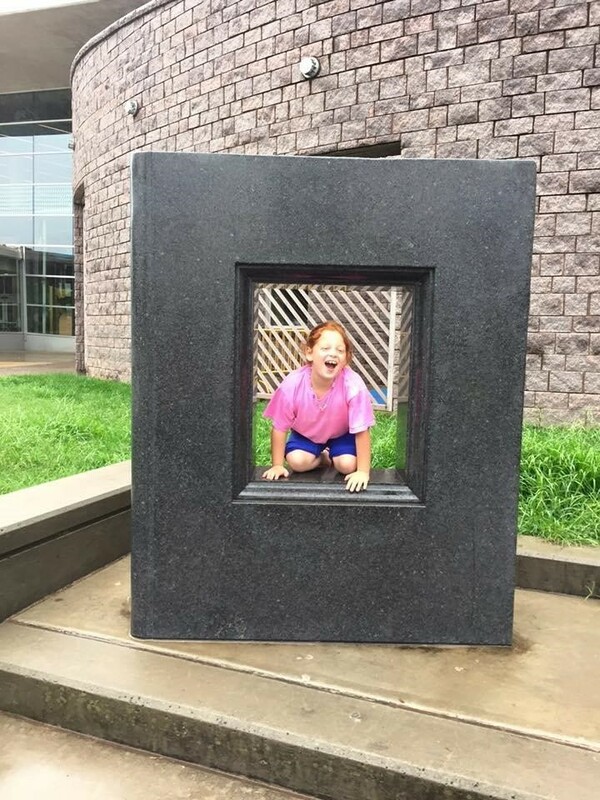 What's your favorite place at Charlotte Mecklenburg Library? 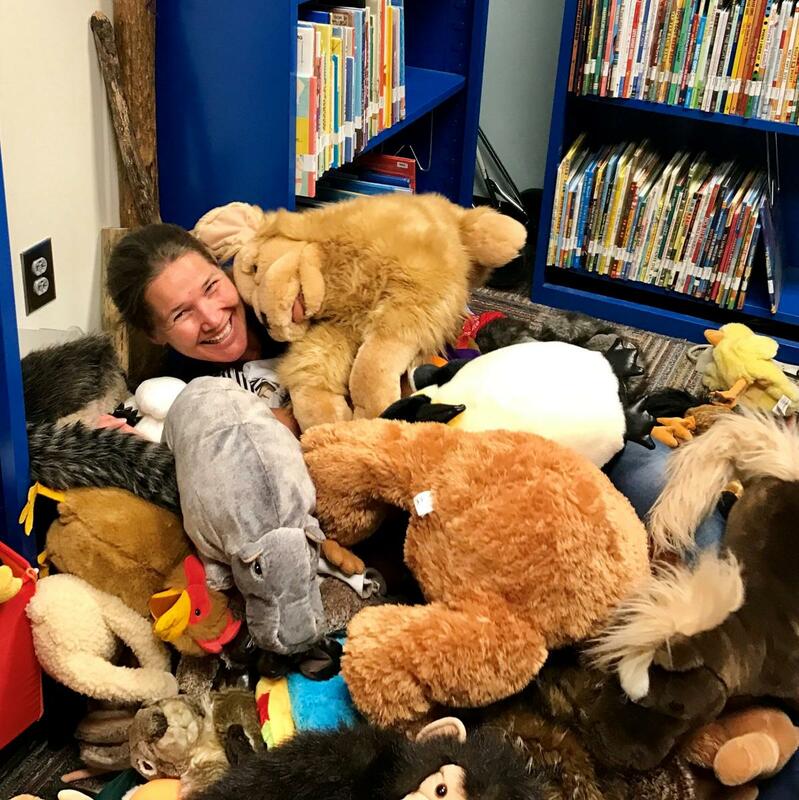 As February nears and as store shelves overflow with hearts and pink-hued stuffed animals, we can't help but feel the love for Charlotte Mecklenburg Library. 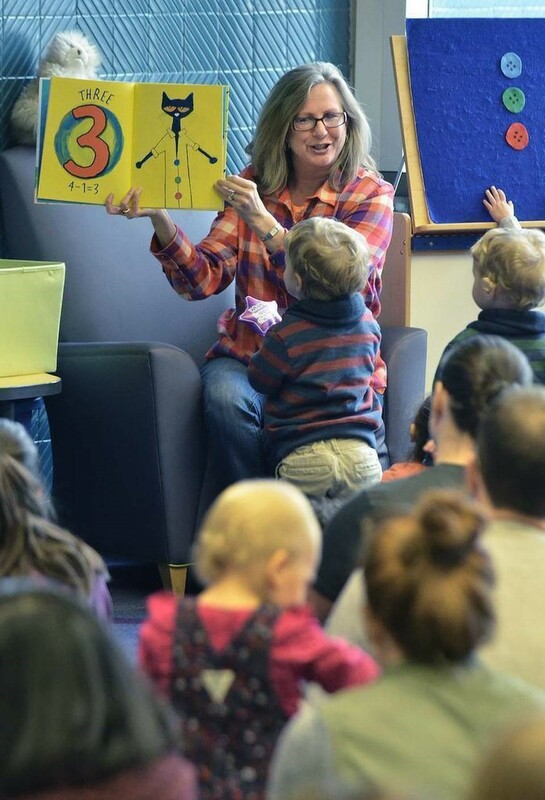 With 20 locations across Mecklenburg County, there's a lot to love about the Library. We asked our staff to share their favorites, and we've included a sample here. But that can't be enough, of course. Throughout February, we'd love to see your favorite place at the Library! Share a picture on your favorite social media platform of your favorite spot at the Library, tag @cmlibrary and use #CMLFavoritePlace. Also, send us pictures of your favorite spot to cmlibrarycomm.mktg@gmail.com. We'll share a selection of photos on our own social media platforms to spread the love. So, where's your favorite place at the Library? 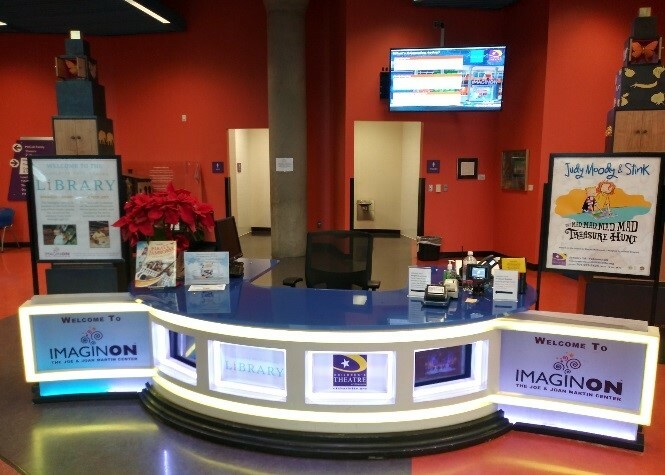 My favorite place in Charlotte Mecklenburg Library is the Welcome Desk at ImaginOn: The Joe and Joan Martin Center. Every day, I’m able to greet and inform customers of the magic of ImaginOn. More importantly, I get to meet families, visitors, parents and children of all ages. By far the most rewarding part of my job is when a customer comes back to say “thank you” for the warm welcome and/or tour of the building. Several years back, I had a parent say the reason her children enjoy coming to ImaginOn is because of me. How can this not be my favorite place in the whole world?! 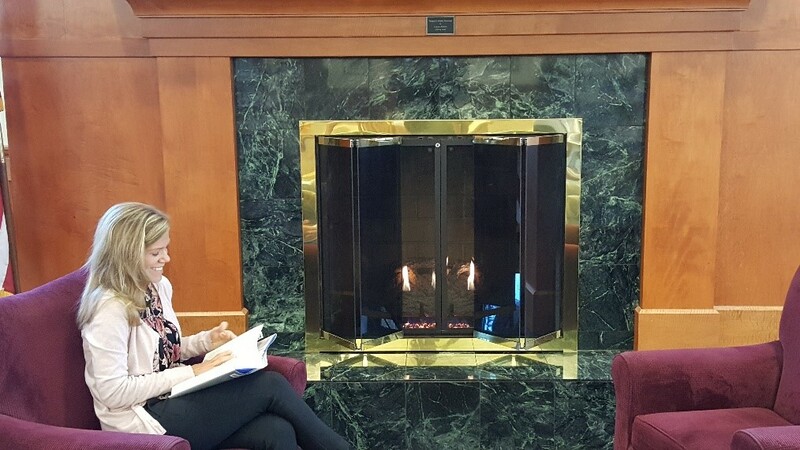 My favorite place at Charlotte Mecklenburg Library is near the fireplace at the Matthews Library, snuggled up reading a good mystery! 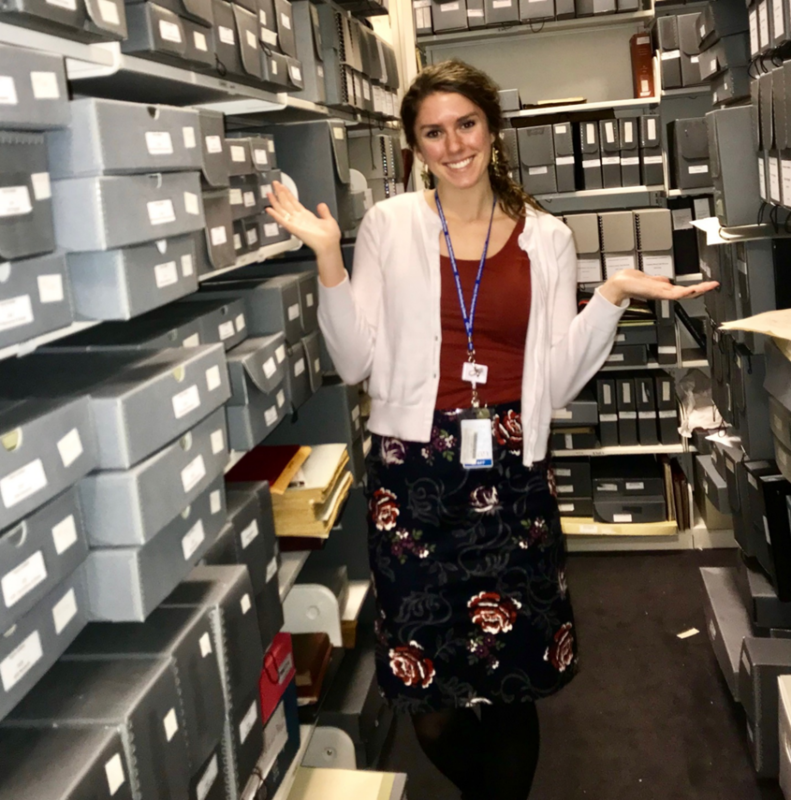 My favorite place in Charlotte Mecklenburg Library is the Robinson-Spangler North Carolina Room’s archival vault because it holds all sorts of cool historical treasure. I love learning about Charlotte’s history through unique artifacts, diaries, love letters and photographs. My favorite place in Charlotte Mecklenburg Library is ImaginOn: The Joe and Joan Martin Center. I've loved watching my daughter fall in love with books and with theatre in a city that cares enough about children to build a palace for both, just for them. 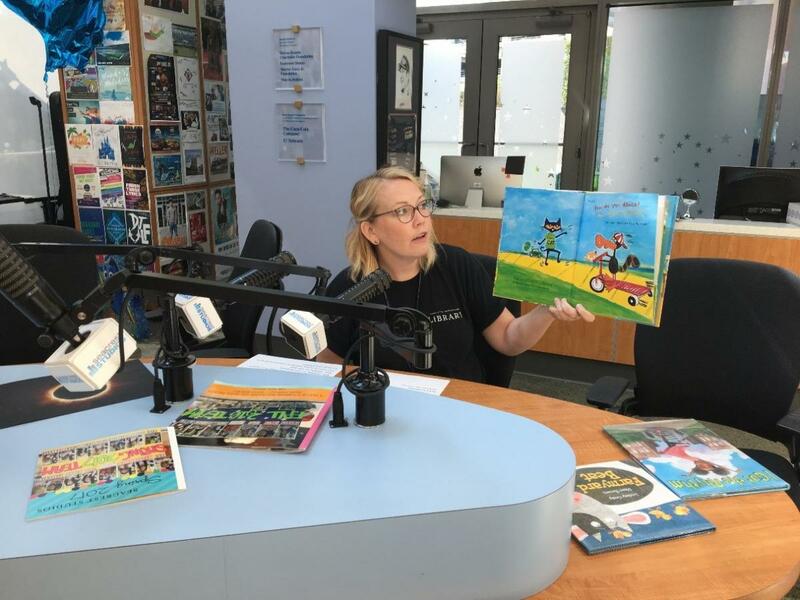 My favorite place in Charlotte Mecklenburg Library is performing outreach storytimes on air at Seacrest Studios inside the Levine Children’s Hospital. Young children and their families listen and watch from their hospital rooms as I read stories and sing songs. 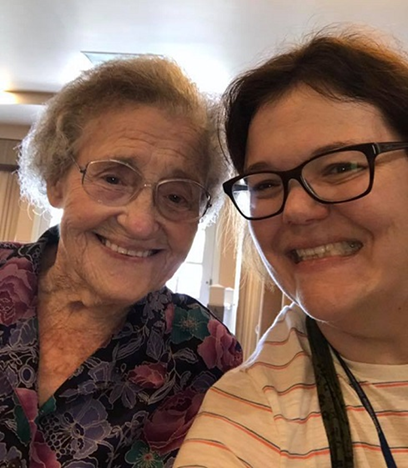 I love bringing the Library out into our community! 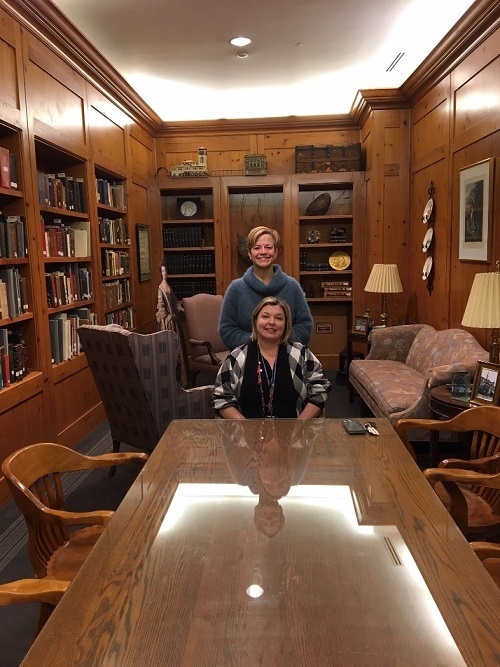 Our favorite place in Charlotte Mecklenburg Library is the Mecklenburg Room inside the Robinson-Spangler Carolina Room at Main Library. The wood paneling is remarkable, and the access to historical information is unbeatable! 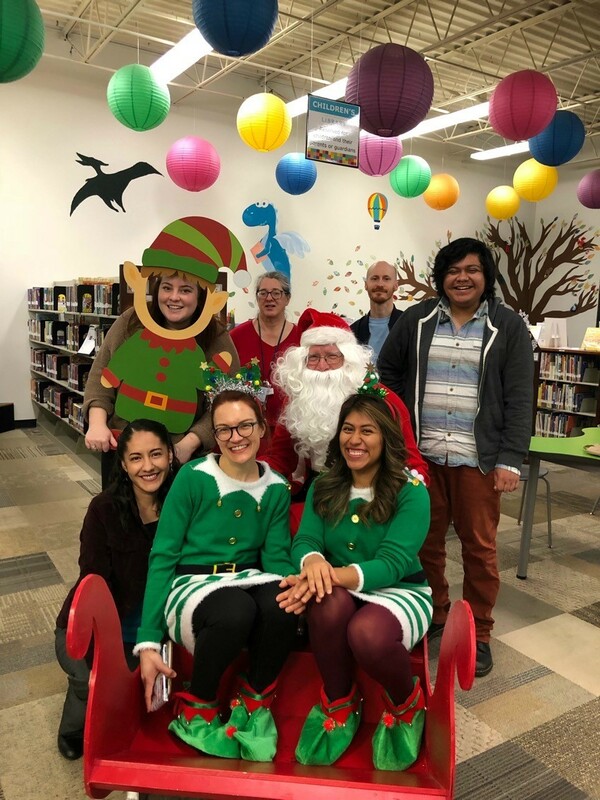 My favorite place in Charlotte Mecklenburg Library is definitely sitting in the storytellers chair in the Spangler Library at ImaginOn: The Joe and Joan Martin Center during family storytime! This is the place where I have a front-row seat watching stories come to life in the eyes of our youngest customers! My favorite place at Charlotte Mecklenburg Library is the front entrance of Main Library. 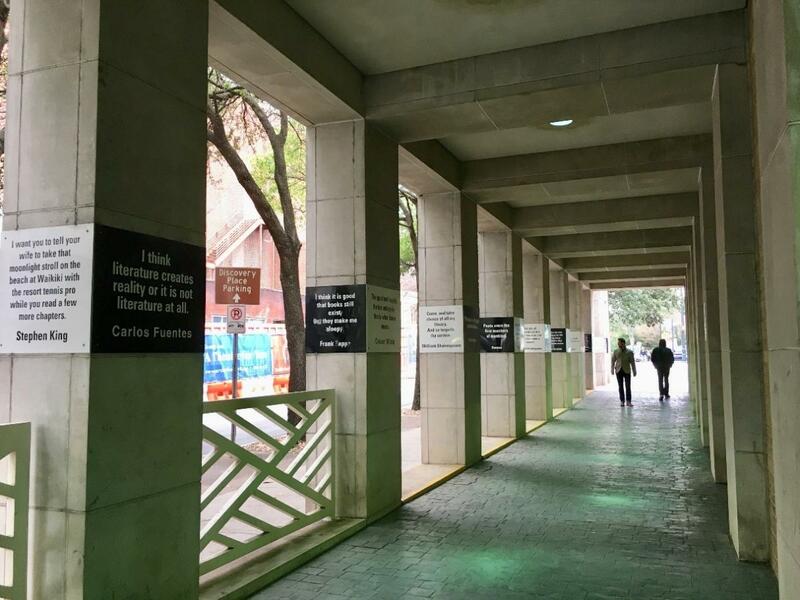 I always read the quotes on the columns, even though I pass by them nearly every day, and any front entrance of a library always tempts me to enter. My favorite place in Charlotte Mecklenburg Library is my monthly armchair travel presentation with the Outreach team at Huntersville Oaks. I love “travelling” the world wth my favorite seniors for outreach! 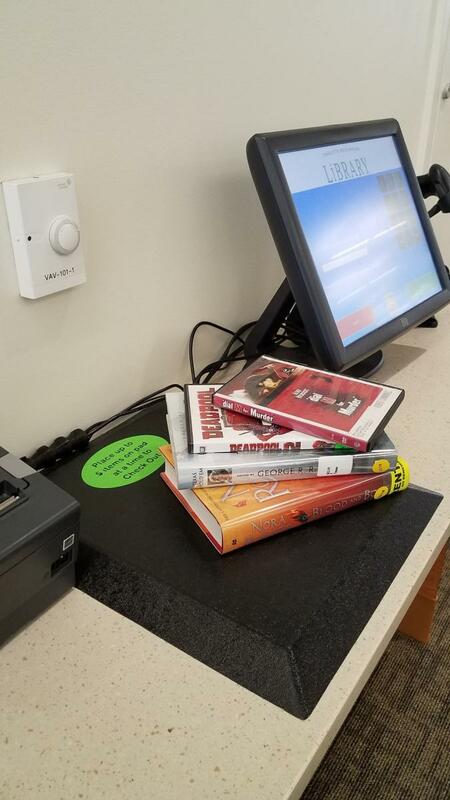 My favorite place at Charlotte Mecklenburg Library is at the checkout! I can't wait to start reading or watching my materials. My favorite place in Charlotte Mecklenburg Library is the puppet closet in the offices of Spangler Library at ImaginOn: The Joe and Joan Martin Center. It’s where we house a collection of not only our fabulous puppets but our favorite storytime books, flannel board kits, silly costumes and weird props, and it’s where we hunker down to plan every single one of our programs. Walking into this room always reminds me of how creative and magical my job is.